The HGTV CMA Music Festival 2017 Sweepstakes, Speedy Rewards Mall Instant Win Game, and Schofferhofer Grapefruit Hollywood is Calling Sweepstakes are among the best online sweepstakes you can enter today. Try your luck and enter for a chance to win great prizes like a getaway to the CMA Music Festival 2017, a $500 Speedway gift card, and a trip for 2 to LA with an exclusive tour of fox studios! Disney Pirates of the Caribbean Land & Sea Sweepstakes: Pirate’s life is closer than you think. Now, your family can tell the ultimate tale when you enter the Pirates of the Caribbean Land & Sea Sweepstakes from Disney. Eligibility: Open to legal residents of the 50 United States and the District of Columbia who have reached the age of majority in their state or territory of residence at time of entry. Legal residents of Canada (excluding Quebec) who have reached the aforementioned age in their province of residence at time of entry are also eligible to enter. Prize(s): Tickets to the CMA Music Festival in Nashville, Tennessee. Prize(s): Up to $500 in gift cards. Eligibility: Open to US residents 21 years of age or older at time of entry. Limit: Two (2) entries per person per physical street address PLUS a maximum of one (1) additional Bonus Entry during the Sweepstakes Period. 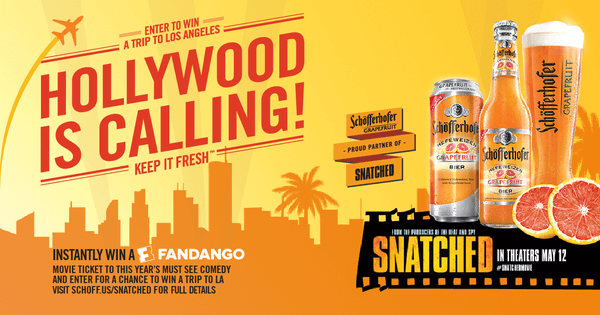 Prize(s): A trip for 2 to LA with an exclusive tour of fox studios.